Where to find Bendern hotels near an airport? Where can I find hotels in Bendern that are near tourist attractions? Hoping to find a great place to lay your head in Bendern? 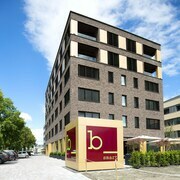 Bendern offers around 11 places to stay within easy driving distance of the heart of town. 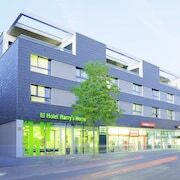 Although Bendern can't lay claim to having a huge array of hotels near the downtown area, b_smart hotel should be handy enough to satisfy visitors. 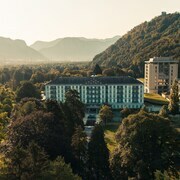 25 kilometres (14 miles) away from the middle of Bendern, is the Grand Resort Bad Ragaz. 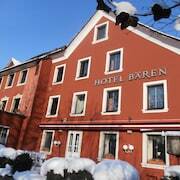 The Parkhotel Sonnenhof is located 7 kilometres (4 miles) away. Two other Expedia-listed hotel and apartment options here are the Residence Hotel and the Hotel Säntispark. 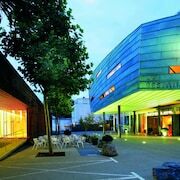 8 kilometres (5 miles) from Bendern is Triesenberg, where you'll find the Liechtenstein National Museum. 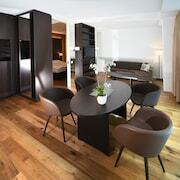 Vaduz Expedia-listed accommodations include the Hotel Schatzmann and Hotel Meierhof. While exploring the region, you might like to visit Triesenberg, where you'll find the Malbun Ski Resort. Triesenberg can be found 11 kilometres (7 miles) to the southeast of Bendern. Places to stay in in Triesenberg include the Hotel Oberland and Hotel Kulm. If enjoying sport is what you love, make sure you visit Rheinpark Stadium, which is 8 kilometres (5 miles) to the south of Bendern. 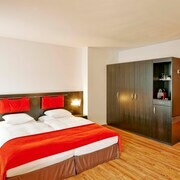 Sleep close to the action at the Linde or the Hotel Alvier. St. Gallen - Altenrhein Airport is a logical airport, and is 30 kilometres (19 miles) away from Bendern. 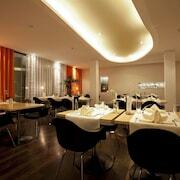 Conveniently located hotels are Hotel Heiden Swiss Quality and Best Western Hotel Rebstock. What are the most popular Bendern hotels? Are there hotels in other cities near Bendern? What other types of accommodations are available in Bendern? Explore Bendern with Expedia.ca’s Travel Guides to find the best flights, cars, holiday packages and more!